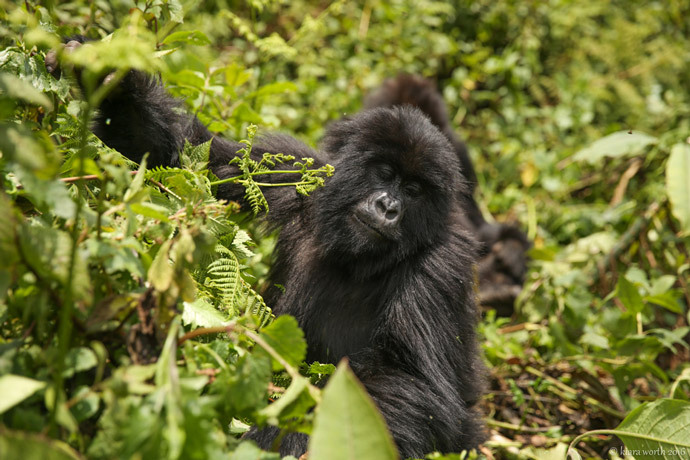 Shared by Uganda, Rwanda and the Democratic Republic of Congo, the Virunga conservation area is a supreme tourism spot in Africa offering a one-of-a-kind experience to travellers. The area is a home to the highest population of mountain gorillas, split between Uganda’s Mgahinga Gorilla National Park, Rwanda’s Volcanoes National Park and the Democratic Republic of Congo’s Virunga National Park. 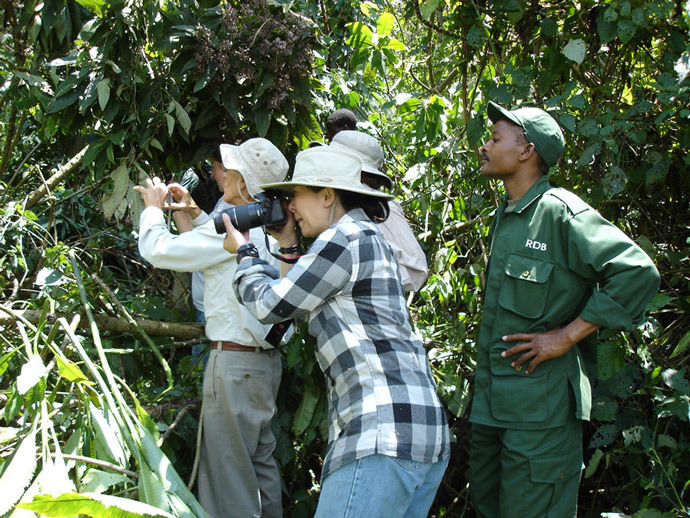 Gorilla tourism is a major tourist attraction. The activity started way back in 1968 by the American primatologist and zoologist Dian Fossey who dedicated her life to saving the mountain gorillas. In Rwanda, gorilla trekking takes place in the Volcanoes National Park which hosts the highest number of mountain gorillas in the whole conservation area. There are 10 habituated gorilla families in the park, making it the best site for gorilla trekking. More still, Volcanoes National Park is situated in north-eastern Rwanda, approximately two-hours drive from the airport, making it easy to access. 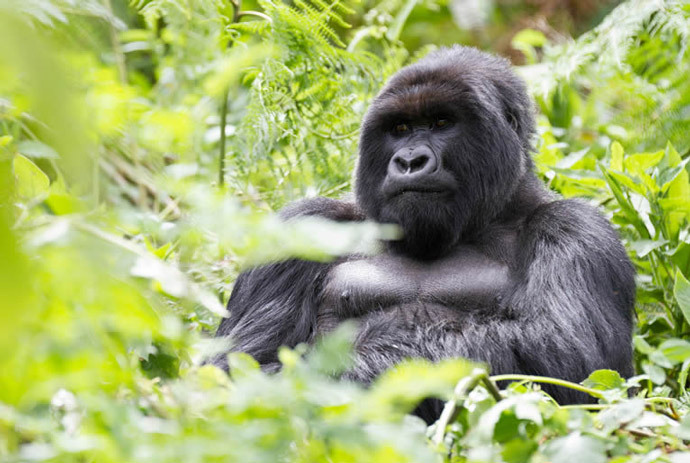 Despite the 1994 genocide that put tourism in the national park at a standstill, the country has now stabilised and gorilla trekking can be done at a cost of US$750 for a gorilla permit. Besides Rwanda’s volcanoes, Virunga National Park in the Democratic Republic of Congo is another gorilla tourism site in the Virunga area. Presently, six mountain gorilla families have been habituated for trekking at a cost of US$450 for a permit. In the last decades, civil wars in the country claimed the lives of many mountain gorillas, which disrupted gorilla tourism in the region. More still the complex poverty levels facing local people adjacent to the park force them to hunt gorillas for meat and trade. Local people also cut down forests for charcoal and the park has recently been threatened due to oil exploration by SOCO, a UK energy company. However, there has still been about a 20% increase in gorilla populations. 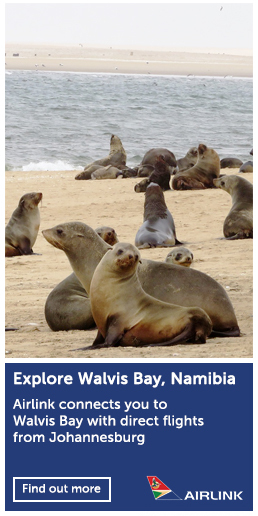 This has been achieved with the help of wildlife rangers who have dedicated themselves to conserve the species. They have promoted widespread conservation messages on community platforms and have increased people’s knowledge of gorilla tourism. On the other hand, Uganda’s Mgahinga Gorilla National Park is a home to one habituated gorilla family named Nyakagyezi. In the past years, the family used to cross the borders to neighbouring Rwanda and the Democratic Republic of Congo, which made gorilla trekking difficult. However, Nyakagyezi has presently settled and is available for trekking at a cost of US$600 for a permit. One can also trek to see golden monkeys in Mgahinga Gorilla National Park (Uganda) and Volcanoes National Park (Rwanda). Just like mountain gorillas, golden monkeys live in groups and different groups have been habituated for trekking. 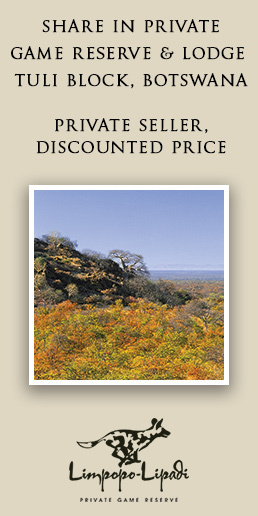 A trekking permit costs US$100 but the experience will remain with you for a lifetime. The other six non-active volcanoes are Muhabura, Gahinga, Sabyinyo, Karisimbi, Bisoke and Mikeno. Travellers can take part in hiking any of these volcanoes whose summits provide clear views of the neighbouring communities. The Batwa pygmies were the traditional forest dwellers before the national parks were gazetted and after the introduction of tourism, the Batwa were evicted to the edges of the forest and forced to adapt to living conditions they were not used to and comfortable with. While interacting with them, the Batwa introduce travellers to their customary forest life in the form of dances, poems, songs, stories, hunting, making fires and gathering fruits. In order to improve the Batwa’s standard of living, various activities such as the Batwa cultural trail and the Buniga forest walks have been introduced. The Batwa take the lead in these activities, which earn them a living to support their families. On one of these experiences travellers can feel part of the community. One can also travel to the grave of Dian Fossey, the American primatologist and conservationist who started gorilla tourism in the Virunga conservation area due to peaching. It was in 1968 when she came to the area to conserve these endangered gorillas. She made the slopes of Mount Visoke her home from which she conducted her research to protect the gorillas. However, due to her work and campaign against poaching, she was murdered after 18 years. But the foundation she laid has stayed. In conclusion therefore, the Virunga conservation area is a best place to visit for your next African adventure with experiences ranging from trekking with mountain gorillas and golden monkeys to hiking the volcanoes and many others!